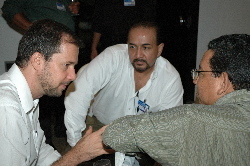 On January 12th, 2005, ABL was publicly launched at the DaVinci Hotel in Manaus beginning with an excellent powerpoint presentation by Michael Galvez, Marco Aurélio de Lima, and Rafael Guimarães, our Hughes Represen-tative. We then moved with over 200 guests to the hotel's private dining room where we had on display a Hughes DirecWay VSAT system providing a live internet connection for 25 computers networked together. 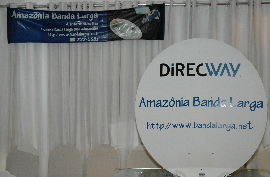 ABL is the first High Speed Internet provider that targets Amazônia. 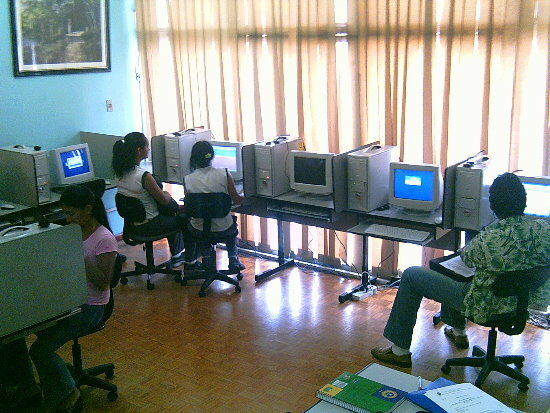 The internet connection provided by ABL is by means of satellite and is available now in all of Brazil, and eventually all of South America. 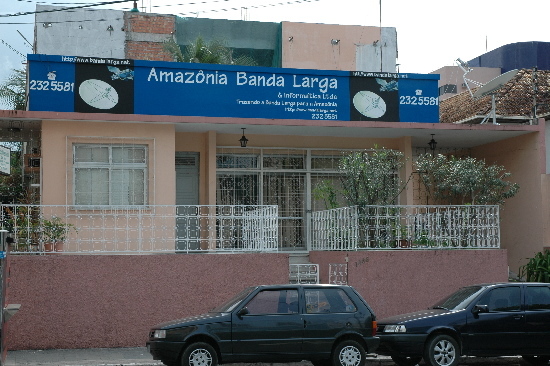 Headquartered in Manaus, ABL is fully committed to bringing broadband to places in Amazônia that have no other means to connect. Currently ABL offers two inaugural products in conjunction with its strategic partners. Our flagship product, of course, is broadband internet with speeds up to 1 Mbps for networks of up to 100 computers. This internet service, which also provides the capability of Virtual Private Networks is provided by Hughes Network Services. Our second inaugural product is Voice over IP (VoIP) telephony, provided in conjunction with IP Phone Brasil, which allows Brazilians to make long distance calls to Brazil, the USA, Canada, Europe, and Asia for as little as 5¢ per minute to ordinary landline phones, and 1¢ per minute to other VoIP telephones. ABL also offers consulting services for Information Technology and Telecommunications, and our plan is for ABL to evolve into a full service IT and Telecommunications company as well as expand our product lines to include portable satellite communications devices. Simultaneous with the public launch of ABL, we opened our Headquarters in downtown Manaus. We have ordered listings in the yellow pages, and are currently redesigning our website. After opening the ABL office in January, we immediately began the establishment of a Cybercafé at our office location. As part of our public launch, Hughes conducted a class for our staff on VSAT installation. The the final event of the class was to install a Hughes DirecWay VSAT System on the roof of our office. 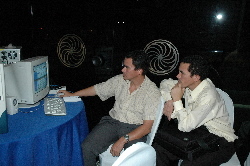 Using this VSAT system as our internet source, we opened The American CyberCafé™ of Manaus right after Carnival with a modest 10 computers and we are already busy. We have services such as instant messaging, e-mail, surfing the internet, CD burning. The ultimate dream of The American CyberCafé™ is both a place and a concept. Today we have the first physical presence of the Cybercafé in Manaus and we hope someday to have branches throughout Amazônia, and possibly all of Brazil. In addition to the physical existence we are in the process of developing a virtual presence on the internet. The physical café will gradually develop into a small piece of America in another country; a place to share American Culture, Cuisine, and Conversation, a place for American expatriates to congregate and a place for locals to meet American Friends and practice their English. But above all it will be a place to sip the finest espresso while surfing the internet with Broadband. For a number of years now, the internet has provided a virtual meeting place where people with common interests can converse from all continents and across all time zones. The virtual presence of The American CyberCafé™ will eventually be such a place. 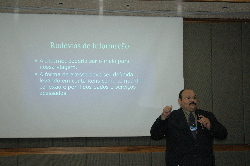 The physical Cybercafé in Manaus is directed by Tom Almeida, Executive Vice President of ABL, and is located at Av. Joaquim Nabuco 1088, Centro. 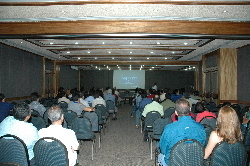 If you are in Manaus we welcome you to visit, and we also encourage you to send us some clients! I'll try to keep you up to date on ABL happenings from time to time.